Current guidelines for this time around are that there will be no weekend posts and any meal in a bowl on a bed of raw greens counts as a salad. 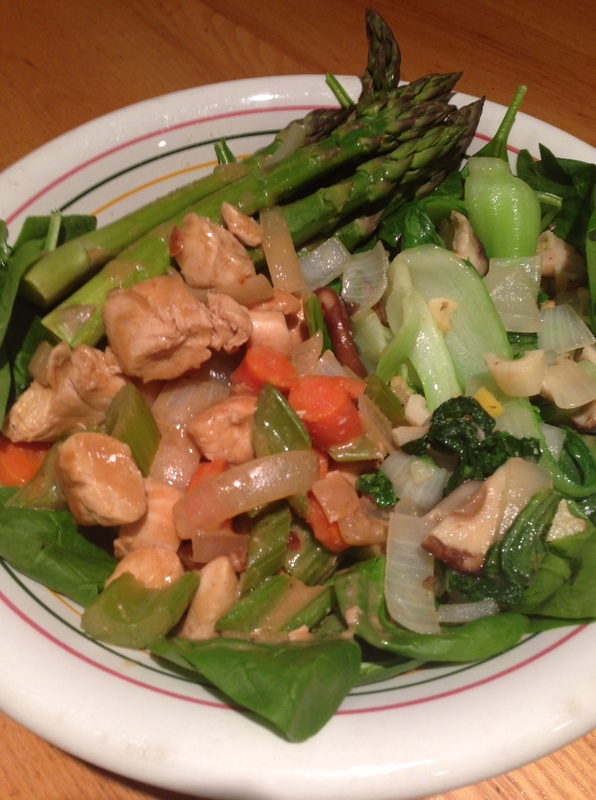 So, today I put my stir fry dinner in a bowl over a huge bed of raw spinach. The rest of the family is having brown rice, but I wanted to make sure to get my salad in for the day!